The Violence Against Children and Young Women Survey (VACS) data collection was completed in 2013, and the Republic of Malawi launched its final VACS report on March 24, 2015 along with a report on its priority responses. 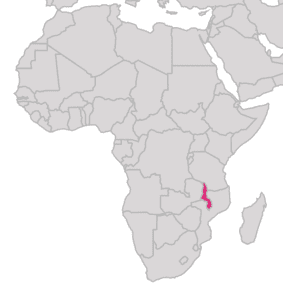 To prepare for the VACS, the CDC National Center for Health Statistics, in partnership with University of Malawi Center for Social Research, implemented a cognitive laboratory study of the VACS survey instrument in Malawi to inform adaptation of the questionnaire to the local context. In addition, UNICEF Malawi and the Center for Social Research conducted a qualitative study to further inform the national quantitative study. 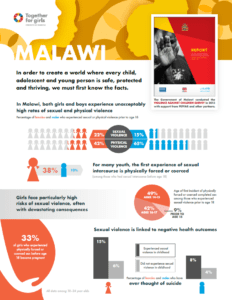 For an overview of the data found in Malawi’s Violence Against Children Survey, download the Malawi one-pager factsheet. While 61% of girls told someone about their experiences of sexual violence, very few ever received any services. 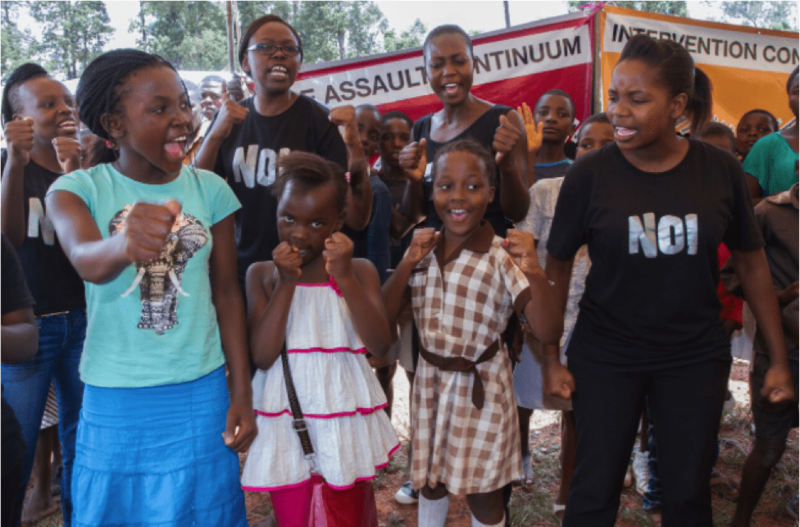 42% of girls experienced physical violence in childhood. 15% of boys experienced sexual violence in childhood. 65% of boys told someone about their experiences of sexual violence, very few ever received any services. 65% of boys experienced physical violence in childhood. 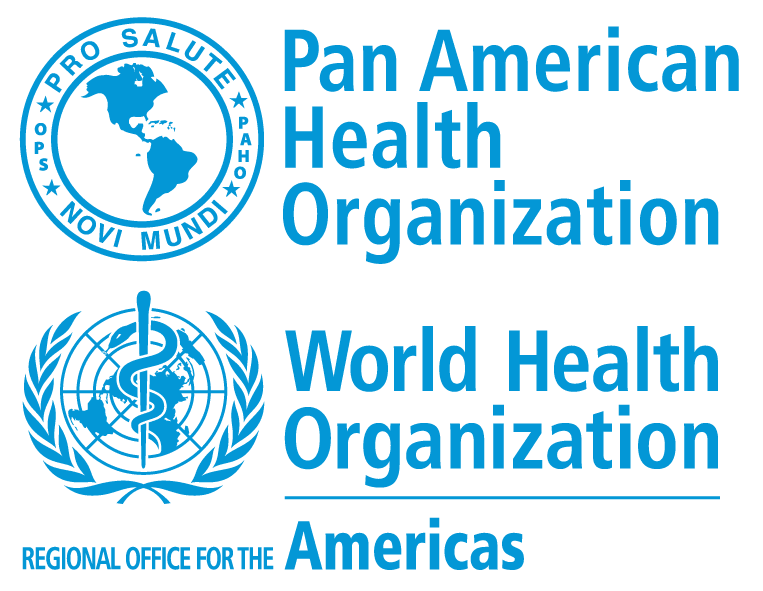 Boys who experienced physical or sexual violence during childhood were significantly more likely to have perpetrated physical or sexual intimate partner violence. Of the girls and boys who reported sexual violence, only 9% of girls and 6% of boys received help. The data presented in the VACS provide a strong foundation for the development of prevention and response strategies in Malawi. Training and home visitation programs provide practical skills for parents to manage the stress of childrearing, while also identifying potential areas for education and social support. Pro-social skills provide children with the means to manage anger and conflict in relationships. Such programs can be implemented through the full school cycle, including preschool and afterschool programs. Stigma around violent victimization prevents survivors of violence (or those vulnerable to violence) from seeking care and support. Strengthening systems of support and normalizing careseeking can reduce violence and increase service uptake. Strategies to identify and refer victims, health provider training, child advocacy programs, and provision of mental health services are all essential elements in reducing violence in Malawi. Gender stereotypes increase women’s vulnerability while reducing their ability to seek services for harm. 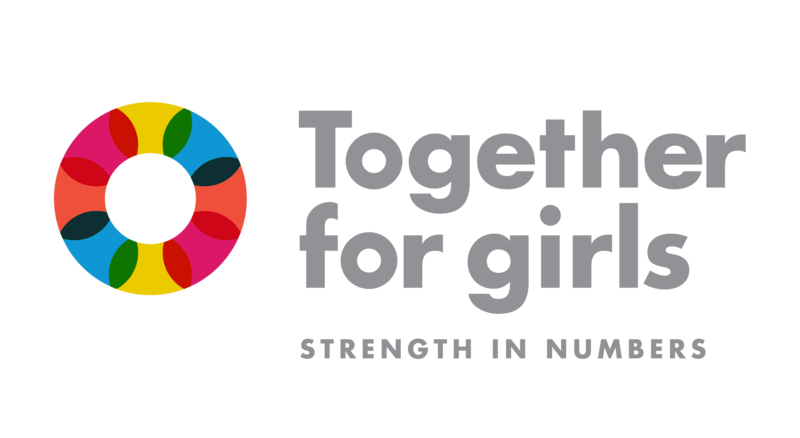 Programs to address gender inequality can be situated in schools, in communities, and in public education initiatives. Additionally, programs that increase women’s access to education, employment, and services can also reduce their vulnerability. Acceptability of violence is a barrier to child protection. In-school programs and public education initiatives can be utilized to change norms around the use of violence. Policies that increase accountability can also help reduce violence.